With the Asian Le Mans Series finishing their last race yesterday, all automatic invites for the 2016 Le Mans 24 hours are now confirmed. The garage 56 entry has already been given to Sausset Racing Team 41 (SRT41), who will compete in a Morgan Onroak LMP2. This innovative sporting project will highlight several technologies devoted to help people with reduced mobility. Each invitation will only be confirmed if the car in question is entered in one of the following three championships in 2016 : European Le Mans Series, Asian Le Mans Series and the IMSA WeatherTech SportsCar Championship. The complete entry list for the 2016 Le Mans 24 Hours will be presented on the 5th of February at a press conference in Paris. 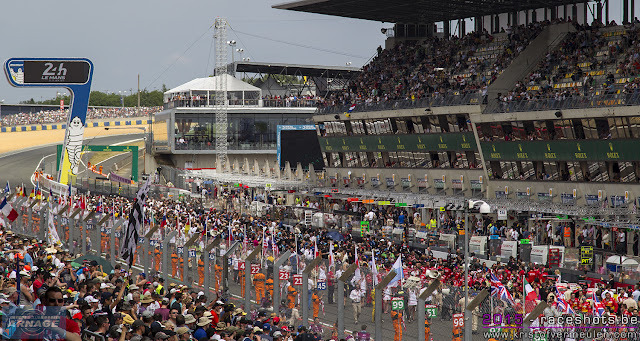 The entry lists for the WEC and ELMS championships will also be announced at the same time. Last week, at the Autosport International show, Club Arnage took advantage of the Motorsport Safety Fund's annual Watkins Lecture to present the Fund with a cheque for £1200 for donations collected on their behalf. Club Arnage was represented by Ian Selvage (Aricus654) who presented the cheque to Ian Roberts, Chairman of the Motorsport Safety Fund. Also present were CA's Tristan Selvage (FezBoy) and the Fund's Dominic Ostrowski. 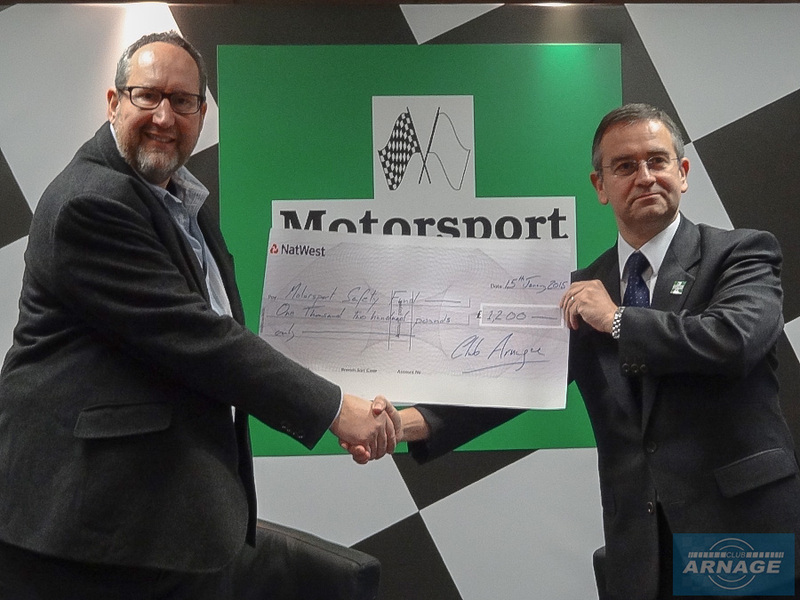 Club Arnage collects money on behalf of two charities, the Motorsport Safety Fund, and Worldwide Cancer Research. Donations are given largely for Cub Arnage's widely respected annual Le Mans Guide, and are shared equally between the two charities. For this donation, a significant portion of the funds were also raised through the Debora Dudley Memorial Fund. The Motorsport Safety Fund dates its roots to the death of Roger Williamson at Zandvoort in 1973, after which a fund was set up with the primary aim of educating marshals on fire fighting and rescue. It has the aim of aiding improvements in safety standards at motorsport events and is run entirely by volunteers. The Watkins Lecture, named after the late great Professor Sid Watkins took place on 15th January 2015 at the Autosport International Show at the NEC near Birmingham UK. The 2016 Watkins Lecture was given by the FIA President Jean Todt who, in conversation with the BBC's James Allen gave a fascinating account of his career at Peugeot, Ferrari and the FIA. A report of the 2016 Watkins lecture is available at the FIA website. A significant portion of the funds raised were from the Debora Dudley Memorial Fund - just over £400 of the £2400 we are giving away at this time. I kind of made a promise that we would give a special mention of this when we gave the funds away, so it would be good if you could amend the blog appropriately - no need to mention the actual figures though. Today Ford Chip Ganassi Racing announced their driver line-up for the all-new Ford GT in the World Endurance Championship. Ford will be running two cars in the 2016 WEC and two in the Weathertech SportsCar Championship in the USA. The intention is to race with both teams at Le Mans in June to create a four car assault in the GTE Pro class during the Le Mans 24 Hours, exactly 50 years after Fords historic 1-2-3 win. The battle in the GTE Pro class will be fierce this year with the likes of Ford, Porsche, Aston Martin, Ferrari and Corvette battling it out for victory. 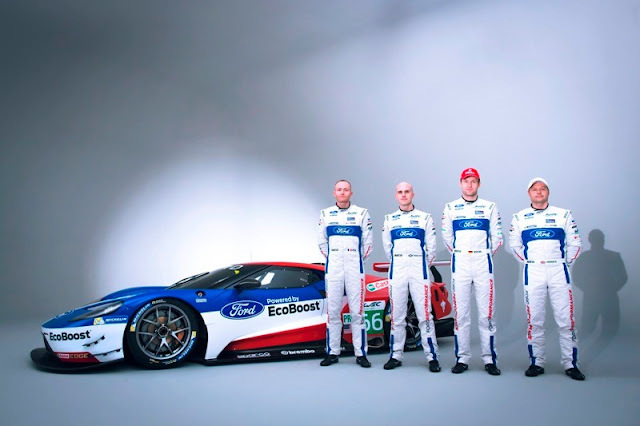 Marino Franchitti, Stefan Mücke, Olivier Pla and Andy Priaulx will race the Ford GT in the WEC, Richard Westbrook, Dirk Müller, Joey Hand and Ryan Briscoe will contest the WeatherTech SportsCar Championship. Stefan Mücke will also race at the Daytona 24h at the end of this month, sharing the car with Ryan Briscoe and Richard Westbrook. Chip Ganassi, owner of Ford Chip Ganassi Racing said to be excited to be at the team HQ in the UK to launch the WEC team. "Just like when we announced the Ford GT drivers for the WeatherTech Sportscar Championship last month, we've again chosen drivers with heart, speed and proven endurance racing credentials. It's a global team running in two championships and I can't wait for the racing to begin." WEC Ford Chip Ganassi Racing team principal - Multimatic's George Howard Chapell - has already led a team to victory at Le Mans on three occasions. "It doesn't get ane more competititve than the Le Mans 24 Hours but that is what makes winning so special", said Howard-Chapell. "Everything has to be perfect and even then you still need luck on your side to cross the line first. The Ford GT has been built to return to Le Mans and these four drivers all know what it takes to compete against the toughest competition in the world." Marino Franchitti is part of a family where performance is hard-wired into their DNA. He won the 12 Hours of Sebring with Chip Ganassi Racing-Ford in 2014 -- Ford's first overall win there since 1969.